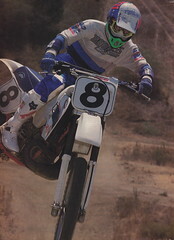 Here is another real classic from the golden age of motocross, the 1985 Motocross Grand Prix of Japan. In it, we see American hero David Bailey do battle against the best from Japan and Europe on incredible one-off works machines. Motocross never looked or sounded better.